Britney won best Pop Video at the VMAs 2009! Britney's Death is untrue and has been confirmed as just a rumor. Her Twitpic account was hacked and on June 29th the hacker posted a message saying "Britney has passed today. It is a sad day for everyone. More news to come." A message was sent after that from Spears camp saying, "Britney's Twitter was just hacked. The last message is obviously not true. She is fine and dandy spending a quiet day at home relaxing." 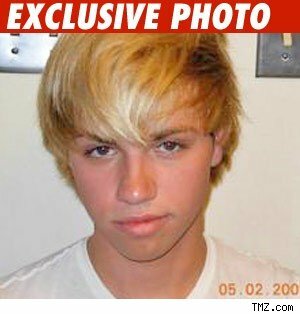 20 year old Kyle King was arrested after jumping on the stage at Britney Spears concert in Connecticut, Saturday May 2nd. Britney was preforming her hit song "Womanizer" when Kyle jumped up on stage and attempted to dance with Britney before getting dragged away by security at the Mohegan Sun Arena. Kyle was arrested for breach of peace and was also 'misbehaving' with the police to also earning another booking. He was then released the next day (May 3rd) with a $250 bond. Then went to court June 18th at Norwich Superior Court. As a child Britney Spears took dance lessons and gymnastics. Of course she loved to sing and at the age of 8 she tried out for MMC but got turned down because apparently she was too young. But that didn't stop her, so the young Britney tried out again at age 11 and made it as a mousekeeter along the sides of famous stars. But her big break was when she was signed a jive recording artist in the late 90's. She then had successful hits such as "baby one more time" and "Oops I did it again" selling millions of copies. You should create your own MySpace Layouts like me by using nUCLEArcENTURy.COM's MySpace Profile Editor!